We have now released our new Membership site. Our new system includes some new features. Existing membership numbers from our current online system were increased by 2000. So if you are member #19, you became member #2019. Because it’s the future. New fields were added to the form to give people registering online the same options as those who registered on the paper form. If you have not been able to EXPLICITLY tell us that you want to be listed on the website, or have your information passed forward to future Worldcons, then your settings will be set to NOT be listed online or in paper publications. And your details will NOT be passed forward to future Worldcons. 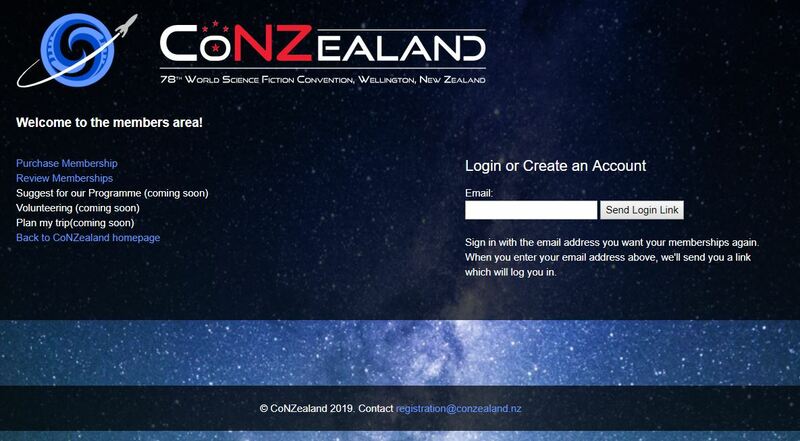 PLEASE log in and check your settings are as you wish them to be, otherwise you may miss out on exercising your rights to nominate in the Hugo Awards in the 2021 Worldcon. Where relevant, Stripe Payment IDs will remain unchanged. Your receipt will still trace back from your bank statement. Although the website looks slightly different, all of your personal information should remain unchanged. Please contact us if this isn’t the case. Thank you for your patience through this process, we know it has taken longer than expected, and in recognition of that, our pricing will remain at the initial rate until at least April 30th, 2019. Our final Worldcon appearance will be at Dublin 2019.